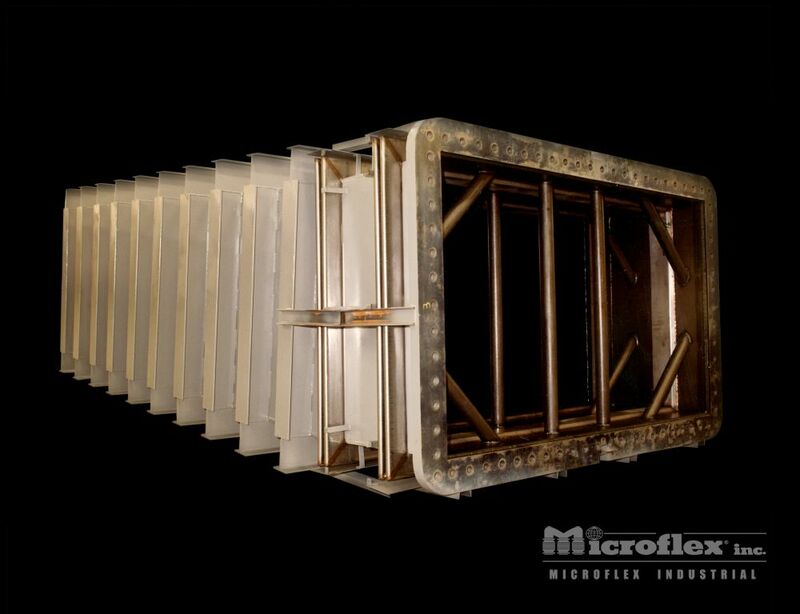 Microflex Duct Type Expansion Joints are designed for use in low pressure ducting systems where low spring rates and high flexibility are required. 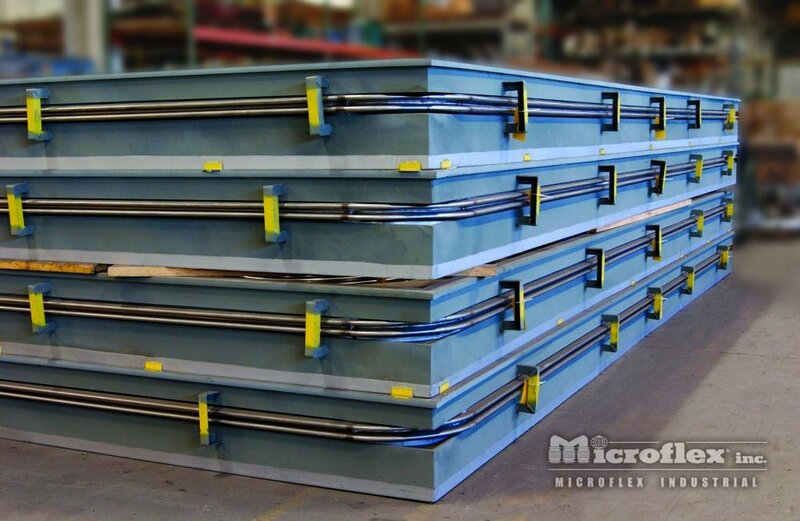 Normally provided with lightweight angle or plate flanges, Microflex Duct Type Expansion Joints are available in virtually any configuration. 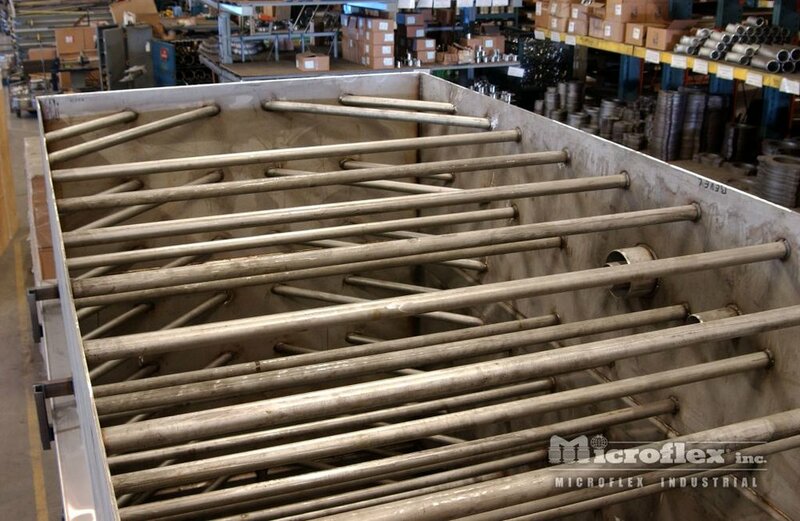 Years of experience designing and building duct type expansion joints for OEM's of power generation and fertilizer plants have provided Microflex with the ability and confidence to provide you with an expansion joint that will meet or exceed all of your requirements. Unrestrained expansion joints, tied expansion joints, hinged expansion joints, or gimbal expansion joints are available. Finite Element Analysis is used to insure the design of all expansion joint hardware. Please see our Introduction to Expansion Joints Catalog, Round Duct Type Expansion Joints Catalog and Rectangular Duct Type Expansion Joints Catalog for more information including technical specifications and how to order.